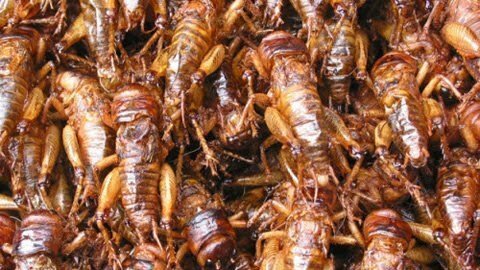 A commentator on CNN said, "For many countries in the world people never dare to eat insects or animal organs ... In Vietnam people can put all in the pot to cook." Today I @ a-alice show you the dishes of Vietnam that horror. I have eaten all these dishes, I find it quite delicious. But foreigners will feel shivering. When it comes to the Japanese eating raw meat, many Vietnamese feel shivered but few know that many of the dishes are considered nutritious and specialty in Vietnam makes foreigners terrified. 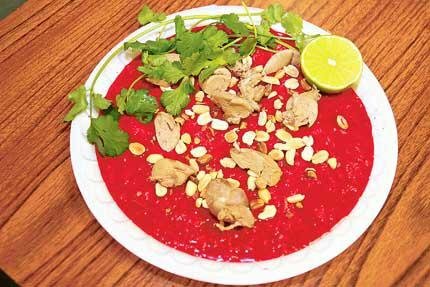 : In Vietnam, the soup is a favorite dish of the people, this dish is made of many animals such as ducks, goats, pigs, goats ... However, foreigners looking at this dish is extremely terrified.
. Duck eggs is dishes made from duck eggs as the embryo develops into shape. 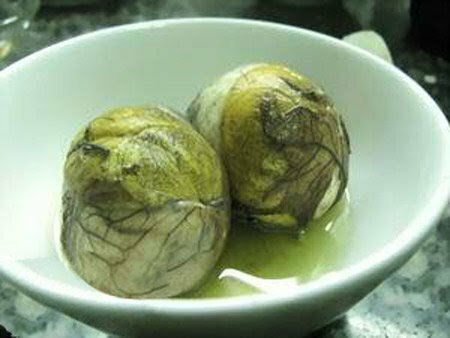 Duck eggs are one of the popular snacks in Vietnam ... and are considered nutritious dishes. Eggs are hired, or sold at street corners, small restaurants. However, many foreigners coming to Vietnam, seeing the people eat it deliciously, they shivered chills. 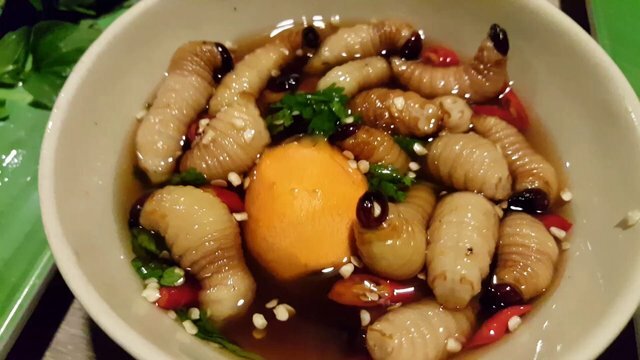 Insects are popular dishes that the Khmer people in the Mekong Delta when sitting at the table often used and considered this is a special regional specialties. These are larvae, crickets, grasshoppers or even scorpions, bugs ... Most of them are fried with the secret to create a very personal taste. But to foreigners they often avoid this dish. 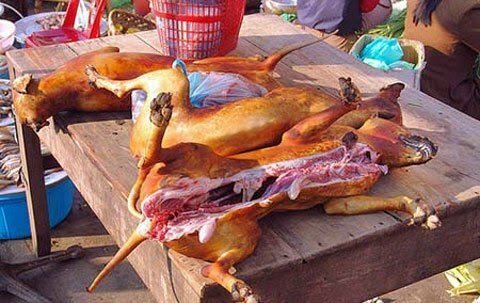 Dog meat is a favorite of many Vietnamese people, but in many Western and Muslim countries, eating dog meat is prohibited. For them, dogs are pet pets and are considered friends. Many foreigners come to Vietnam wondering why our country is eating dog meat while still keeping them. Coconut palms are larvae of the larvae. After the mating season, this beetle usually chooses coconut trees, cut tops and lay eggs. Look at the fat worms we are not out of fear. Only those born in Vietnam can eat these dishes of food, because I could not eat, insect maybe I would eat. Visit my new friend post. Cant believe people eat dogs, this is really sad. I remember watching Anthony Bourdain traveling around eating bugs... I thought that perhaps he was preparing us for what is to come. Yikes! you got my vote! It's ugly, but it's delicious. In our culture, these foods are very nutritious. Many foreigners also look terrified with this dish.